I’ve had a busy, difficult week. Deadlines are crowding my brain at work. Evenings have been filled arranging details for something that might come to fruition next week – but has been stressful and worrying in the meantime. 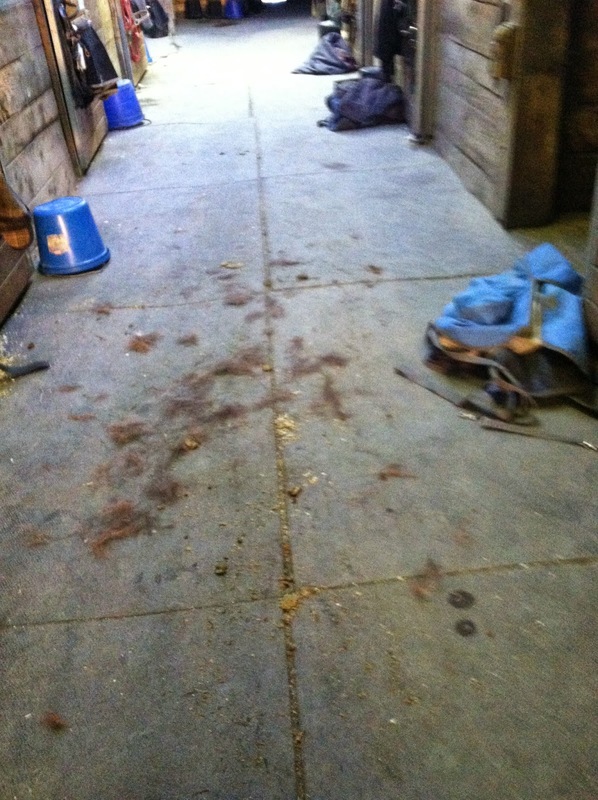 Last night, I made it to the barn at 7pm through sheer force of will. I put one foot in front of the other, and I kept going. I told myself I’d just keep going and I’d go as far as I felt comfortable. I got the grooming box. I pulled off his sheet (thanks, Vermont, I thought we were done with those?). I curried, and curried some more. I used the shedding blade. I chatted with the barn manager on the phone, who had called to update me on a few things. 45 minutes later, the muscle ache in my face and jaw from grinding my teeth had faded. My shoulders had loosened, despite grooming hard. I could breathe easily again. I never did get to ride, but I didn’t need to. I just needed to escape. The barn manager’s news was great – she gave Tristan his second dose of Pentosan on Monday, and used him in a 30 minute beginner walk/trot lesson on Tuesday. She couldn’t stop raving about how forward and fluid he’d looked. She said she’d never seen him like that. I won’t be able to ride until Saturday night, but that was awesome news to get. It sounds like the Pentosan is helping. I’ll report back if that’s the case. We’ll see what next week brings. Just keep swimming. hope that the saddle fitting goes well! Good news! Hopefully things will just keep getting better!